We understand that an education abroad can be both enriching and daunting, so we dedicate ourselves to making your experience in and out of the classroom a success. We will connect with you regularly and often to give you the support you need and help you adjust well academically, culturally and socially. We'll help you get involved, meet other students and make the most out of your stay. Our programs are designed to give you the best possible real-world, real-work experiences. Depending on your program, you'll have many options to apply what you've learned to your chosen field of study. Work Integrated Learning opportunities help you make the transition from post-secondary education to a career with a future. 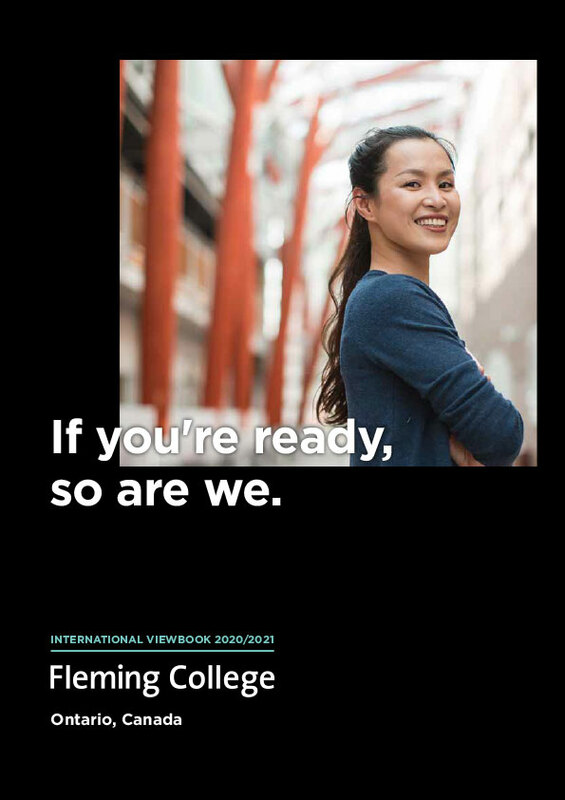 Learn about specialized services for new International students at Fleming College, community resources and off-campus life in our International Student Handbook. Fleming College offers Free Airport Pick up for newly arriving international Students from Toronto Pearson International Airport to either Peterborough or Lindsay. Once you have arranged your flight and arrival details, we can prearrange free transportation from the airport to the Fleming Campus. International Students Services offers a detailed orientation program for new international students during the week before classes start, including a tour of campus, opportunity to meet upper semester students, Canadian culture and much more. Fleming College strives to assist all students to be successful in their academic career and provides many free services to assist students in reaching their goals. International Student Services is the first point of contact for international students and can assist you in accessing the supports that you need on or off campus. Should you need help in any of your classes, Fleming College offers free tutorial support in any subject through group tutorials and drop-in workshops. Throughout the year we will organize fun day trips and events for International students to showcase Canada's culture and tourism points of interest. Every international student is enrolled in a health insurance plan and the fee is included in tuition for full-time students. International Student Services manages the international student health insurance plan and can assist students with understanding their health insurance coverage, and accessing Health Services on campus and in the community. Students can also access professional, strictly confidential healthcare through Health Services at our campuses in Peterborough and Lindsay. A registered nurse is available weekdays and access to a part-time physician is available by appointment. Will you be travelling outside Canada by air while you are a student here? Read this notice about the travel documents required.